Are you looking for the best oil change in Fort Lauderdale? Well, most people are just looking for the cheapest oil change in Fort Lauderdale. But cheap is not the best route to go. If you want to protect your vehicle, save money, and have the best experience doing that routine car maintenance that is required anyways. Then come on down to Empire Auto Care for the best oil change in Fort Lauderdale! We offer a high-quality dealership level fort Lauderdale oil change service by the best Fort Lauderdale Auto Repair Shop. We also offer coupons: regular oil change coupons & full synthetic oil change coupons. 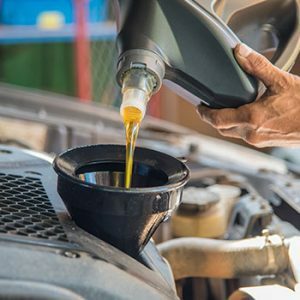 The importance of an oil change can never be understated, as it is the single most important maintenance item that you can do for a car or truck. Lubrication for all of the moving parts in an engine is critical, and that is what an oil change helps accomplish. Otherwise, a vehicle’s lifespan will be permanently shortened and require additional repairs, meaning more money out of pocket and more hassle. In fact, one of the best ways to prevent a costly auto repair is to get an oil change on schedule for the lifetime of an automobile. If you do not change your oil regularly, it will thicken, and your engine can get damaged. Which leads to reduced performance and even expensive repairs. 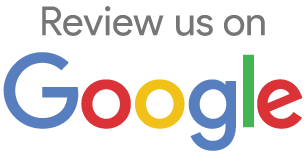 You can trust our team to help you keep your car properly maintained, and your engine protected. With the right engine oil, excellent service, and sound advice. Common wisdom says to take an automobile in every 3000 miles. This is a great start and works just fine for many vehicles and drivers. Some newer vehicles can go even longer and only require an oil change at 5,000 or even 10,000 miles with high-quality synthetic oil changes. However, there are a few situations where changes that are more frequent might be necessary. For example, living in a dry, dusty part of the country and traveling over dusty roads will require you to visit the auto mechanic frequently to keep the engine running well. Older and higher mileage automobiles should also be included in this category, as their engines and moving parts already experience more wear and tear. Some vehicles are designed to go further between changes, especially if they mostly drive highway miles. The average cost of a typical engine or transmission auto repair is over $1000. Even a smaller auto repair bill, such as for gaskets or bearings, can easily approach $100 to $1000 as well. However, automobiles that are well maintained will avoid these auto repair costs in many cases. Engine lubrication is vital for all of the working parts of an engine and the power train in general. Having adequate lubrication will reduce engine wear and extend the lifetime of a vehicle. All the while reducing the amount and frequency of costly trips to the mechanic. A car or truck also enjoys higher gas mileage from timely lubrication services. The engine will run more efficiently, use less gas, and save money at the pump. This also means a maximum output of horsepower to help with accelerating onto the highway, hauling cargo, as well as towing and trailering. We can tell exactly how often a particular make, model, and year should be brought in as we have been in busy for long. We understand that people do business with people they trust, and when it comes to potentially high car repair bills, you want to make sure your mechanic is honest, fair and well known in your community. Lastly, rely on us to use our professionalism to provide these services. While some people prefer to do the work themselves, we guarantee a high-quality oil change service. Rest assured we would recommend the best grade and weight of oil to use. In the end, preventative maintenance will help prevent those costly auto repair bills while increasing the life of any car or truck. Empire Auto Care is the trusted source for Fort Lauderdale auto repair services. We provides a full range of services including oil change services to help extend vehicle lifetime and performance.